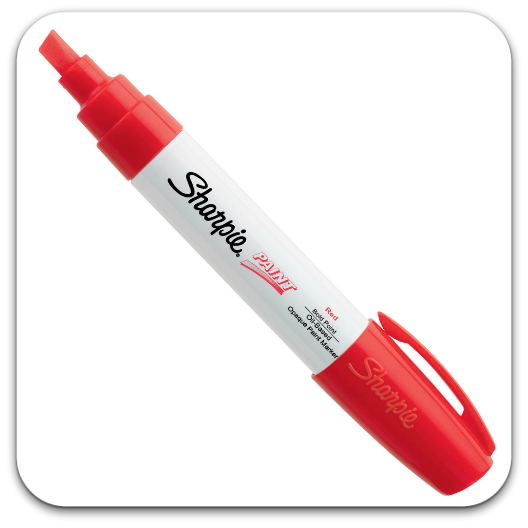 Permanent, oil-based opaque paint markers mark on light and dark surfaces. Use on virtually any surface; metal, pottery, wood, rubber, glass, plastic, stone and more. Quick-drying, and resistant to water, fading and abrasion.